Travelling North on the A683 and about a mile outside Tunstall, Thurland Castle sits hidden amongst the trees. Now a private residence, the castle remains are usually hidden, but during the winter months when the trees are bare of their leaves, a tantalising glimpse of the castle can be seen from the road. The best view is to be had immediately to the North of the gatehouse on the right hand side of the road. From here the building can be safely viewed. Above. Old ground plan of the castle. Above. The very restricted view of the castle from the side of the A683. The castle was built in the 14th century, with license to crenellate granted by Henry IV in 1402. All that survives of the original structure now, is the moat and some masonry from the North face of the South East range. From these remains, a tower can still be seen. The work carried out when the crenellation license was granted, was done by Sir Thomas Tunstall. An ogivall headed (pointed arch) doorway can still be seen in the building facing the court....apparently evidence that the building contains masonry from a building predating the 1402 work. 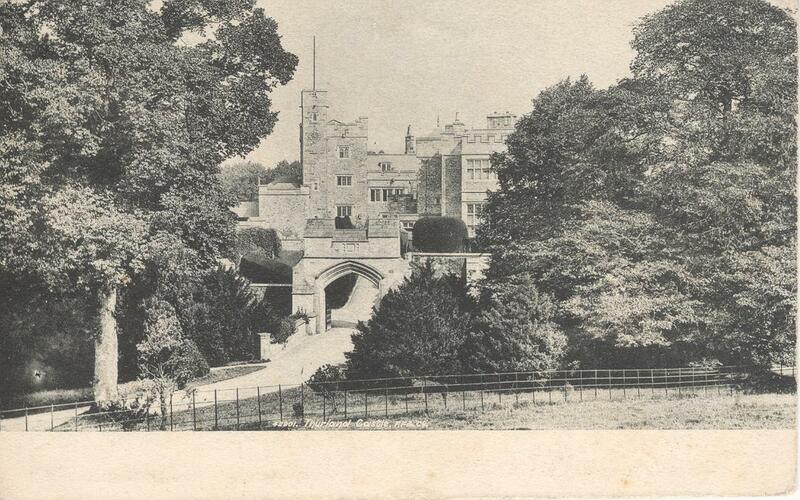 In around 1605, the castle was sold to John Girlington by Thomas Tunstall. The castle was captured and partially destroyed by Parliamentarian forces in 1643. The remains of the castle were converted into a country residence in 1809 and altered in 1829. The castle was then gutted by fire in 1876. 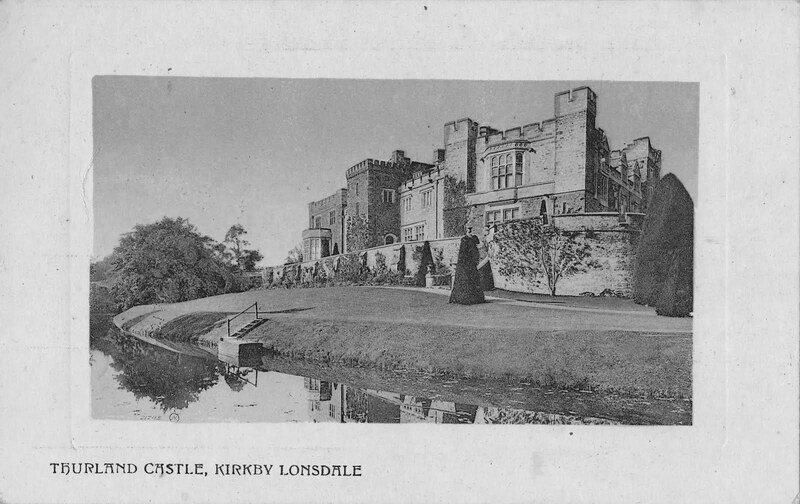 From 1879 to 1885, Lancaster architects Paley and Austin were employed to rebuild and partially redesign the castle, and most of what is seen today is a result of their work. More recently, the castle has been split into private residences. As a result of this latest redevelopment, the castle is private property and no access can be gained to the grounds.